They ought to sponsor a children's picture contest for the best colored drawing of the "scarecrow" and paste these in the windows of their restaurants. We would do well to produce such propaganda for our causes. I do, however, take exception to the message that mankind ought to step backwards to move forwards. 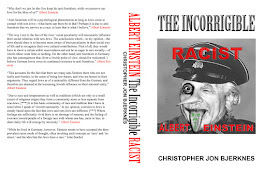 If Whites are to outcompete those who would eliminate us from existence, we must use our intelligence to manage our resources with the most modern and structured scientific methods at our disposal. Becoming Amish will only provide our enemies with the edge they need to destroy us. As kids, we used to talk about how we could take over earlier societies with modern weapons. We must not step backwards as others advance beyond us with our own science, lest we stumble into our eternal grave as a race. This does not imply destroying nature, but rather reinvigorating nature in the most effective and efficient ways, as we maintain our technological competitive advantages over our competition. "Whatsoever therefore is consequent to a time of Warre, where every man is Enemy to every man; the same is consequent to the time, wherein men live without other security, than what their own strength, and their own invention shall furnish them withall. In such condition, there is no place for Industry; because the fruit thereof is uncertain; and consequently no Culture of the Earth; no Navigation, nor use of the commodities that may be imported by Sea; no commodious Building; no Instruments of moving, and removing such things as require much force; no Knowledge of the face of the Earth; no account of Time; no Arts; no Letters; no Society; and which is worst of all, continuall feare, and danger of violent death; And the life of man, solitary, poore, nasty, brutish, and short. It may seem strange to some man, that has not well weighed these things; that Nature should thus dissociate, and render men apt to invade, and destroy one another: and he may therefore, not trusting to this Inference, made from the Passions, desire perhaps to have the same confirmed by Experience. Let him therefore consider with himselfe, when taking a journey, he armes himselfe, and seeks to go well accompanied; when going to sleep, he locks his dores; when even in his house he locks his chests; and this when he knows there bee Lawes, and publike Officers, armed, to revenge all injuries shall bee done him; what opinion he has of his fellow subjects, when he rides armed; of his fellow Citizens, when he locks his dores; and of his children, and servants, when he locks his chests. Does he not there as much accuse mankind by his actions, as I do by my words? But neither of us accuse mans nature in it. The Desires, and other Passions of man, are in themselves no Sin. No more are the Actions, that proceed from those Passions, till they know a Law that forbids them; which till Lawes be made they cannot know: nor can any Law be made, till they have agreed upon the Person that shall make it." The jews are constantly striving to drive their genuine opposition into such a state of political irrelevancy, fratricide and internal war. Look around you at the civilization in which you live. Consider the political fabric which holds it together. 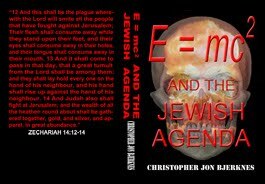 Next contemplate the jews' apocalyptic Hollywood movies and how the jews strive to lead the Goyim to believe that a true hero is an antihero who functions best in chaos. The jews want you to destroy your civilization so that you each fight your brothers in a constant war, and thereby do the jews' work of killing each other off and destroying your own culture without the jews having to lift a finger directly against you. The jews have you hoping for the breakdown of civilization, and, or, the robber baron anarchy of Libertarianism, so that the rich and politically organized can easily dominate you as you war against your own flesh and blood in the name of "freedom". The jews constantly generate infighting amongst you to render you politically irrelevant. 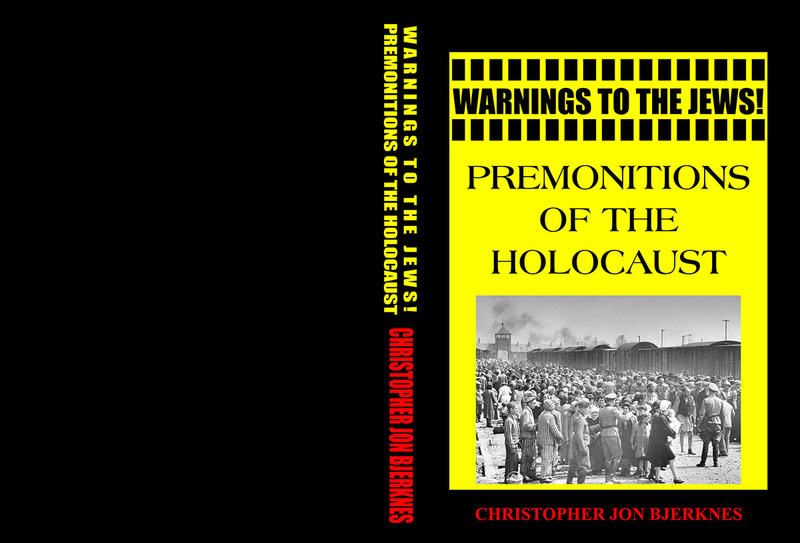 Think of how all the mechanisms of society would grind to a halt if we acted generally as the jewwise generally act under the misdirection of the jews who generally lead their opposition into chaos and anarchy. If all political leadership and structure disappeared from our society, as it does not exist among the authentic opposition to the jews, we would live in the horror world of jewish apocalyptic fiction with our knives at one another's throats in the quest for the mere subsistence of life's needs. This is the sad state of our resistence to our mortal enemies the jews, chaos and anarchy, where individuals direct their wrath at other individuals of their own kind, rather than effectively combating world jewry. 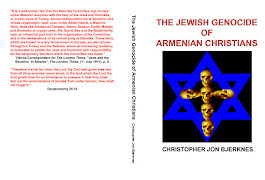 The jews' alternative to the hyperindividualism the jews promote among us, is the jews' universal slavery and genocide of their depraved communism. We cannot defeat the jews by becoming Amish, Ramboes, jungle foragers, or the slaves of oppressive government. Instead, we must organize politically to mechanize our will to physically defeat a physical enemy. The jews strive to denigrate the collective will to survive of our people, because they fear we will gang up on them and destroy them for attempting to destroy us. 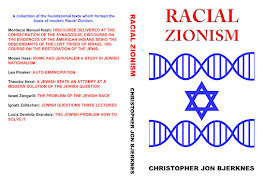 We desperately need a political structure to raise us up out of the morass of the anarchy and chaos among our members the jews generate, so that we can become a force focused on preserving the White summum bonum and destroying the jewish summum malum, rather than disorganized brutes destroying one another for the benefit and entertainment of the enemy jew. There are generals in the North Korean military who do not want to die, do not want to mass murder South Koreans and do not want to instigate a nuclear third world war. There are also generals who are embeded crypto-Chinese ready to assassinate Kim Jong-un and his extended family should Kim Jon-un hesitate to obey Chinese orders to attack South Korea, Japan and the USA. The carrot is continued billions for the North Korean mafia State and the pledge of Chinese military support for the attack. The stick is regime change orchestrated by Beijing and the slaughter of all those who have betrayed Chinese authority. The US should stop pretending that North Korea can change course and instead identify Red China as the source of the aggression. Kim Jong-un cannot disobey China without signing his own death warrant. The Chinese are out to make their move and see the young puppet leader as their ticket to expansionism and control of the Pacific, a Chinese objective for at least 5,500 years. 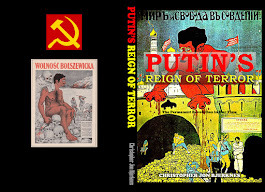 The only way to stop North Korea is to stop China, by providing Kim Jong-un a way out, which wouldn't work, identifying forces in North Korea who will depose Kim Jong-un, again not viable due to Chinese dominance of the society, or to demonstrate to China that we know what they are doing and the price they are about to pay is not worth the risks of failure. Going after the threatened and completely controlled puppet Kim Jong-un only places him under greater control by the Chinese. If the regime is toppled, expect that Kim Jong-un would not carry out the Chinese orders to attack. China will then either have the new regime obey its orders, or use the opportunity to move its troops right up to the South Korean border and aim its best missiles at Tokyo. China wants Japan to fall. It is China's means of hegemony, capture of Taiwan and complete control of the Pacific. Korea is a means to a much broader end, Chinese world supremacy. If China backs down from this, it will be because they know they have been found out for the deceitful and deceptive genocidal mafia cowards that they are. It seems my model for international jewish behavior has yet again predicted events noone else forecast. Let me reiterate another of my predictions in yet another attempt to provoke you to political action. To phrase it as succinctly as I can, the Chinese are going to annihilate us, with the help of the jews who want us dead. Chinese women are attaching themselves to White males at an alarming rate. Infertile White couples are importing Chinese female children. The Chinese are taking over South America and Africa. They have the numbers to overwhelm us. Just as the Chinese students and businesspeople, often posing as tourists, stole our technologies through an intensive and very successful espionage campaign, which I vocally warned against in the 1990's, the Chinese are flooding our shores with a fifth column of Chinese. The Chinese want a shooting war to take advantage of Japan's weakened state following the jewish attack on Fukushima. The jews are pitting the South Koreans against Japan, and the North Koreans against South Korea, Japan and America, so as to weaken our alliances and provoke a war. The Communist Chinese have the jews' pledge that they will be a trojan horse to subvert the American government, military and nuclear arsenal, just as the jews gave the Red Chinese our weapons technology and our industry. You really must start doing something, before we fall to these Communists and our people are bred out and slaughtered. We are nearing the end. 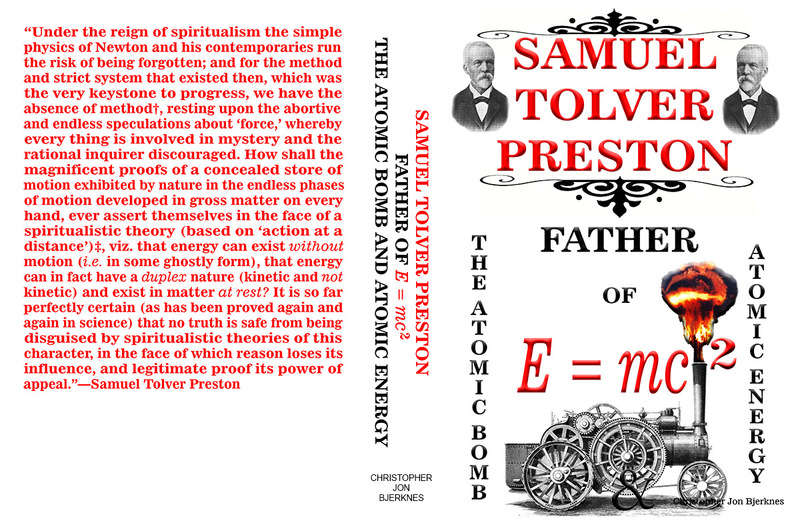 "It appears to me that it is the nature of the business that what follows has already been partly solved by other authors. 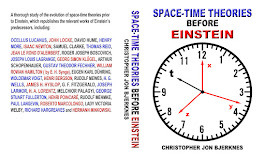 Despite that fact, since the issues of concern are here addressed from a new point of view, I believe I am entitled to leave out what would be for me a thoroughly pedantic survey of the literature, all the more so because it is hoped that these gaps will yet be filled by other authors, as has already happened with my first work on the principle of relativity through the kind efforts of Mr. Planck and Mr. Kaufmann."--A. 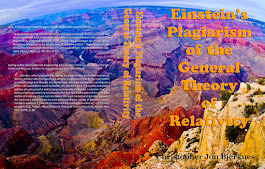 Einstein, "Ueber die vom Relativitaetsprinzip geforderte Traegheit der Energie", Annalen der Physik, Series 4, Volume 23, (1907), pp. 371-384, at 373. I believe it was Richard Moody who first truncated my full and correct translation sometime in late 2003. 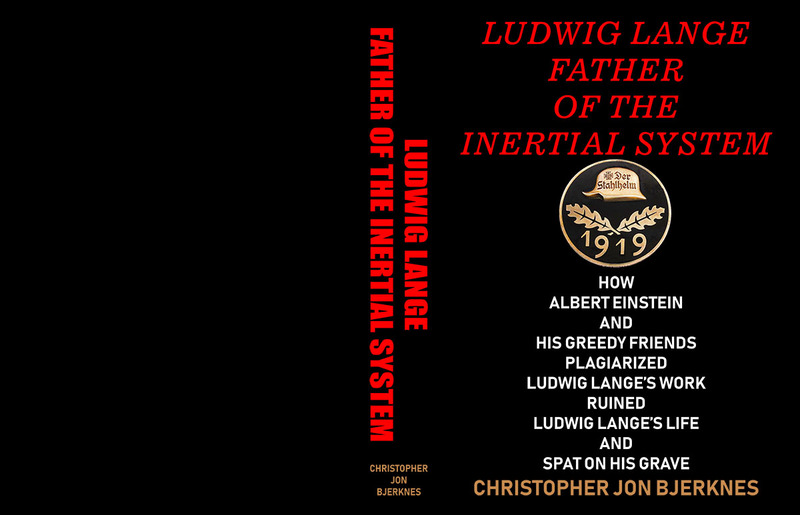 My novel insight that this is proof of Einstein's intent to plagiarize the work of his betters has, since 2002, been spread all over the web, though rarely with an attribution to me. I only mention this because the missing phrases from my translation are significant. 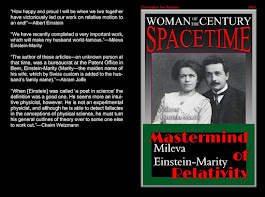 It is interesting to note that recently Einstein's statement appeared on the Veterans Today website in incorrect form, Was Einstein a Wife Beater, Womanizer, Plagiarizer, and Eugenicist? (Part I). I don't think Schlafly mentioned me or my work in his 2011 book. 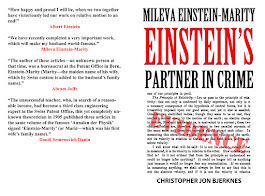 The Occidental Observer reviewed Schlafly's book, but again made no mention of me or my work. 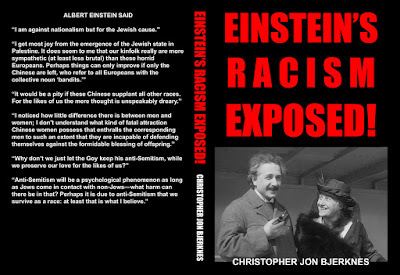 Seems strange, given that hundreds of thousands of copies of my 2006 book The Manufacture and Sale of Saint Einstein were downloaded before the jews censored my website jewishracism.com off the web. That book was another of the many places I published my translation and novel insight. They ought to have mentioned my work. 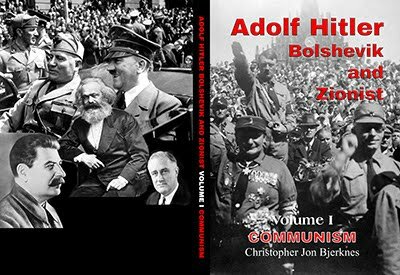 It is far more thorough and better documented than Schlafly's much later book, and it is free and freely available for immediate download from a variety of sources.